Barb Slone | News-Current Dr. James Tyko helps cut the ribbon on the new medical residency program the Soin Family Practice Center. 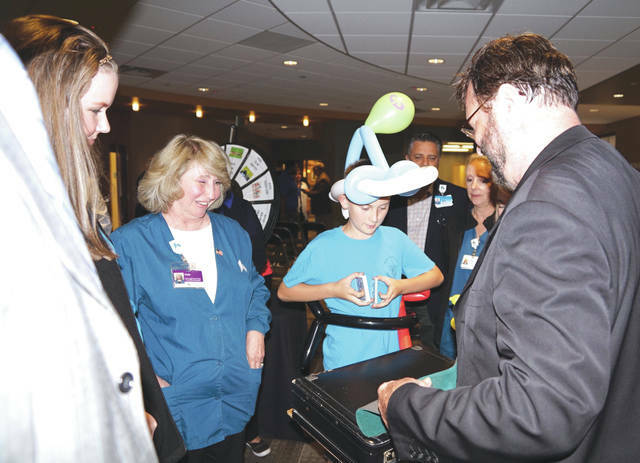 Soin hosted an open house with activities and food to welcome the new program at the hospital. Dr. Tyko, Dr. Anna Squibb and resident physicians help open the new medical residency program. 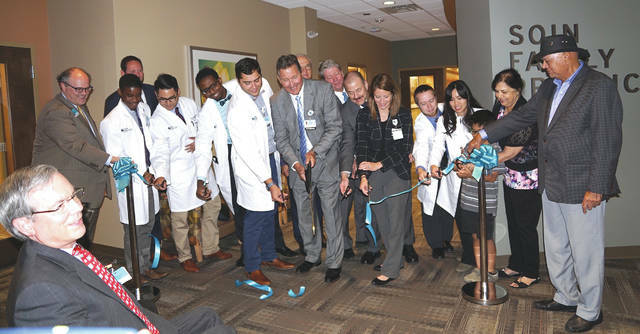 BEAVERCREEK — Soin Medical Center held a ribbon-cutting ceremony for its medical residency program the Soin Family Practice Center July 11 at 2145 N. Fairfield Road, Suite 100. After the ribbon-cutting ceremony a community open house will be held. Children of all ages were able to explore emergency vehicles from Beavercreek and Fairborn, including the Pink and Purple medic. The event featured a Health Fair that includes free screenings and wellness information. A balloon artist, face painting, magic show and other entertainment was provided. https://www.beavercreeknewscurrent.com/wp-content/uploads/sites/49/2017/07/web1_Soin01.jpgBarb Slone | News-Current Dr. James Tyko helps cut the ribbon on the new medical residency program the Soin Family Practice Center. https://www.beavercreeknewscurrent.com/wp-content/uploads/sites/49/2017/07/web1_Soin02.jpgSoin hosted an open house with activities and food to welcome the new program at the hospital. https://www.beavercreeknewscurrent.com/wp-content/uploads/sites/49/2017/07/web1_Soin03.jpgDr. Tyko, Dr. Anna Squibb and resident physicians help open the new medical residency program.